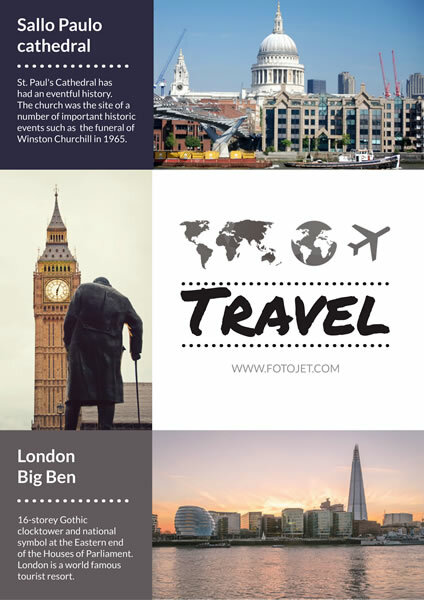 This travel poster template is perfect for the agents providing London tours and looking to boost their travel business. It is embedded with the photos of the most popular London attractions like Sallo Paulo cathedral and Big Ben. Simply add your agent information can finish delicate travel posters for London. What’s more, you can change the default images to make posters to advertise other tourist routes.